Plastic Makes Music Accessible to Everyone! Musical instruments can be expensive, but with plastic, they don’t have to be! A lot of beautiful instruments are made from rare woods, ivory, and mother of pearl, which can be hard to come by, expensive, and not very good for the environment. Thanks to the innovations of plastic, more instruments are being made available to amateurs who are looking to learn a new instrument. Recorders have always been an elementary music staple, but with cuts made to many arts programs in schools, being able to practice with these instruments has been rare. Innovations in plastics have made it more affordable for children to take up the recorder. The plastic recorders are better for novice musicians because they are extremely durable, and, unlike other woodwind instruments, they don’t require constant oiling. Woodwind instruments are typically made from a delicate wood, making them very fragile in younger hands, and can be very expensive. Plastic seems to be the way to go for shaping young musicians! Until recently, most plastics in musical instruments have been only replacement parts, and haven’t played a big part in the structure of the instrument. Enter Graham Lyon, a music teacher responsible for the invention of the Clareneo. This instrument is much like the clarinet, and because it’s made from ABS resin, is more affordable and durable for a wider range of musicians. It’s easy to obtain replacement parts for this instrument as well, and it’s 60% lighter than an actual clarinet, making it the ideal instrument for students. 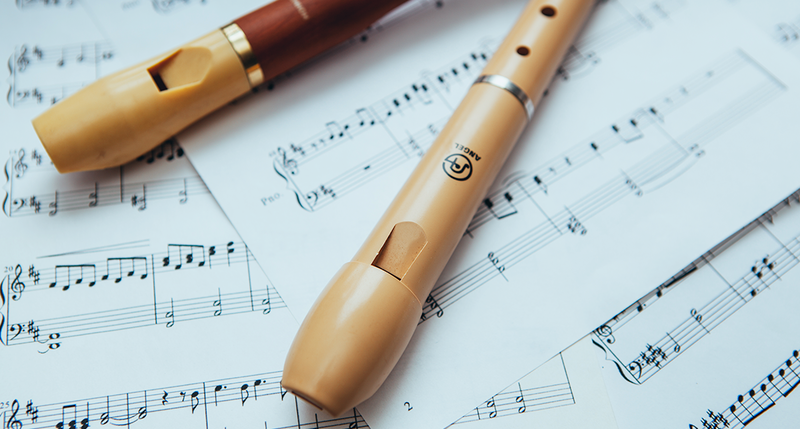 Due to its wild success, Lyon and his colleagues have launched the JFlute, created with similar principles as the Clareneo. These aren’t the only plastic instruments on the scene. Charlie Parker traded his brass sax for an acrylic one in the 1950’s, making it one of the first plastic instruments played by a professional. Unfortunately, plastic innovations weren’t where they are now, and there were many flaws in the design and sound of the horn. In 2010, Piyapat Thanyakij, a Taiwanese musician, created Vibratosax to make a series of four alto saxophones made almost entirely from plastics. These saxophones are much less expensive than their counterparts, and there’s even an option to purchase a kit to build your own instrument! The PBone is another plastic instrument getting a ton of buzz. Invented in 2010 by English trombonist Hugh Rashleigh, the PBone is a ABS resin trombone with a fiberglass slide. The colorful instrument can be fitted with any mouthpiece on the market. This instrument was so popular, the first 200 models sold out within 15 minutes! Plastics are making dreams a reality for future musicians!